Lean companies improve themselves by fast and successive logistic experiments. 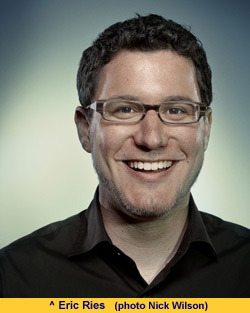 Eric Ries, author of The Lean Startup, states that startup companies should apply a similar approach. They should continuously improve their business plan by repeatedly releasing minimal viable products, to learn about their intended customers. This means continuous innovation instead of building a perfect rocket at once, which will often fail when it is launched. To move in the right direction, you need a True North as a beacon, like in Lean manufacturing. For a startup this compass is a business which adds value for the consumers, and which has enough ability to grow. According to Ries developing a new product should resemble simultaneously driving a car (testing your product), tuning the engine (continuously improving the product) and steering (adapting your business model when needed)! What is called go and see in Lean manufacturing – always visit the place where the real work is done – is replaced by launch and see: Try to determine as fast as possible which product features your intended customers like. The Lean Startup is a fascinating and well-written book. It is not only suitable for entrepreneurs, but for everyone involved in product development. 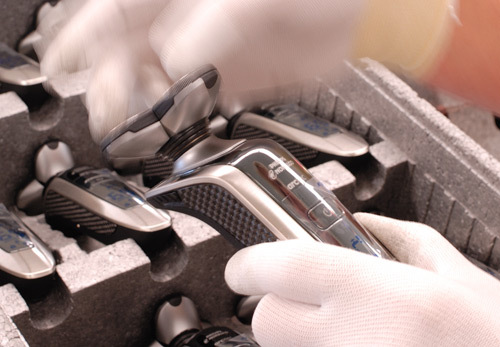 Lean manufacturing aims to continuously increase the amount of value which is created. This is done by gearing the production steps to one another, and by eliminating steps that don't add value, like waiting times. Toyota considers a One Piece Flow, with no intermediate stock and only production-to-order, as their holy grail. During the last decennia, they developed many solutions like Kanban, which brought them step-by-step closer to that ideal situation. These solutions were all found and validated by doing experiments. First, Toyota defined the current situation as their standard or baseline. Next, a hypothesis of how the flow could be improved was formulated and tested. When the solution proved to be better, it was accepted as the new standard, and the cycle of improvement started again. So Lean is essentially a scientific method. It strives iteratively to reach a Target Condition, which is a situation with more value for the customer and less waste, see our discussion of the book Toyota Kata. During the startup of companies there is even more waste than during manufacturing. Many of the young companies fail, or at least they make products that almost nobody wants for a long time. Can the Lean method – stepwise learning - also be used to reduce that kind of waste? Yes, says Eric Ries in his book The Lean Startup ! Ries, although only 36 years old, is an experienced entrepreneur. Since several years, he is also active as speaker and consultant in the area of product innovation. Ries was involved in the start of both unsuccessful and successful companies. An example of the latter category is IMVU, which he frequently mentions as an example. At the website of IMVU, people can make a personalized avatar in 3D, which they can use to chat with other people. The business model of IMVU combines the features of Second Life and the social media. The Lean Startup is not a cookbook for people who want to become an entrepreneur, as some reviewers state it is. To start something new, you need a good idea first. The Lean Startup starts after this point. It describes how you can manage a startup company, or the development of a new product. An idea for a new company or a new product is essentially no more than a hypothesis, says Ries. The riskiest elements are two leap-of-faith assumptions. First, there is a value hypothesis: the new product or service delivers value to customers. Second, there is a growth hypothesis: there is a way in which the company is assumed to grow. Engines of growth can for example be word of mouth or funded advertising. Only if both the value and growth hypothesis are true (or can be made true), the new company or product will be successful! What goes wrong with most startups, is that far too much time is spend on developing the perfect product, without prove that there are customers. This resembles building a rocket to the moon, without knowing if it is pointing in the right direction. No wonder that when a product like that is launched, it often turns out to be a disaster. The customer simply doesn’t like it, or the startup does not grow. Of course one of the following things could then for example be changed: The product, the way it is delivered to the market, or the target audience. However, because so much time was already wasted, there is often no time and money left to do this! And it gets even worse: The entrepreneur didn’t learn anything about what was wrong, so he or she does not know what kind of adjustments should be made! According to Ries, the goal of a startup therefore is to find out as quickly as possible if and how a sustainable business can be built. Ries states that developing a new product should resemble simultaneously driving a car (read: test your products with real customers), tuning the engine (improve your product step by step to deliver more value to customers and to increase the speed with which your company grows) and steering the car (adapt your strategy and make a sharp turn or pivot when needed). All these things should be done in frequent and fast cycles of Build-Measure-Learn. That way, the direction in which your car (your company) is heading can be continuously adjusted, and the speed (the growth rate of your company) can be continuously increased. This will make it much more likely that you reach the moon: a viable business. Subtitle: How today’s entrepreneurs use continuous innovation to create radically successful businesses. + New and clear insights about how to manage new product development and how to accelerate innovation. + Half of the book describes reallife business examples. These examples alone contain many ideas that entrepreneurs can use to increase their chance of having success, especially if it is a software product that they are developing. + The author doesn’t pretend he has all the solutions yet. His book is a plea to approach product development in a different way, to reduce the amount of wasted time and money. +- A chapter about developing new products to be produced in a Lean way is missing. What do you want to learn if you are a startup company? You want to know, as quickly as possible, if your leap-of-faith assumptions are true! To test those, it is not needed to build a completely polished product, a minimum viable product or MVP is sufficient. That could for example be a product with only a few features. A MVP should be designed for evidence-based learning about the behavior of the customers. This means that sometimes extra things have to be build and investments are needed. For example, in case of a website, a split technique might be used to compare the behavior of people who visit different versions of it. If the results with a MVP suggest that the value and growth hypothesis are true (or might become true), an improved MVP can be built. Next, it can be tested if this MVP does serve your customers better. If so, the improvement cycle is repeated. Even when the release of an MVP fails this will not be a complete waste, as it was with the rocket approach. Because the release of the MVP was set-up as a scientific experiment, you have learned something about your future customers. So value is also created in case of (partial) failure. This reminded me of Eli Goldratt, founder of the Theory of Constraints. He was, like Ries, a warm supporter of the scientific approach to solve business problems. Goldratt said that he was never disappointed when one of his solutions didn’t work, because in that case he had learned that he made a mistake in his reasoning. Sometimes, after a failure, another MVP can be built and tested immediately. In other cases it is necessary to change the business model first. Ries calls this a pivot, because although you still have no viable business, you do have learned. A pivot means that you keep one foot rooted in what you have learned, while you make a fundamental change in strategy, like focusing on another market segment. Some of the ideas in The Lean Startup are not new. This is logical, because the author says that he adapted lean manufacturing to be applicable to product development. The idea to work up to a clear destination by way of rapid cycles of ‘design-test-adjust’, along an a priori unknown path, is among others described in the book Toyota Kata. The difference is that in The Lean Startup the route is covered by frequently releasing new product versions, instead of by improving a production line. In addition the destination is a viable business, instead of ‘streaming’ production without intermediary stock. Recently a method for agile software development was developed, which is sometimes called Scrum. The central thought in this method is to break the development of software up in pieces, and to deliver piece after piece to the customer. That way, a rapid feed-back loop is created. This prevents that a large product is built that it not like the solution the customer had in mind. The way software products are developed in The Lean Startup resembles the Scrum-method a lot. The difference is that feedback is not given by a customer that has ordered the product, but by a customer that has bought a minimum viable product ( MVP). In addition, most of the feedback is not given directly, but via systems that measure how customers use the MVP. There are companies that already apply some of the techniques described in The Lean Startup. Procter and Gamble for example conducts transaction learning experiments, in which they produce a little and sell a little, and let customers vote wilt their wallets. These remarks are not meant to pass criticism on The Lean Startup, but aim to position it in the Lean literature. Ries fully admits that he used all the existing knowledge. The Lean Startup is a good book, because it combines many new ideas into one clear approach to new product development, be it in a startup or an existing company. The book is suitable for all people who are an entrepreneur or who are involved in developing new products. In an epilogue, Ries warns that his method should not be used to breed a pseudoscience around MVP’s and strategic pivots. I thinks he means that his method should not become a goal in itself. In addition, Ries says it is not an end version. New ideas will continue to emerge and these could be tested in Startup testing labs. Philips doesn't apply the innovation method as described in The Lean Startup, but they do design new products in such a way that these can be produced in a 'Lean' way. In the book there are many examples of real business situations. Those are very interesting to read, but have one disadvantage: nearly all the examples are about the development of software. I think additional solutions are needed for companies who make other products. How to make a MVP in that case, without compromising your business because of inferior quality or safety issues, seems a big problem. Take for example the strategy of Steve Jobs: He insisted to make the iPhone perfect before it was introduced on the market. Intriguingly, this is the exact opposite of what is advised in The Lean Startup. On the other hand, Jobs did have a test group: he and his team simply built the phone that they wanted themselves. Finally, I do think that a chapter should be added to The Lean Startup. This should be about developing new products in such a way, that these can be produced with lean manufacturing methods.